An attempt has been to study the optimum mix of crushed Electric Arc Furnace (EAF) slag with natural aggregate in Granular Sub-base (GSB) layer. Detailed experimental investigation was carried out for strength, durability and drainage properties. The dynamic CBR (CBRd) using Light Weight Deflectometer (LWD) was conducted on a mix of EAF slag with natural aggregate. Totally 30 combinations of mix proportion were examined for six gradations of GSB to find an optimum mix based on strength and permeability criteria. Results show that mixture of 50% EAF slags with natural aggregate was found to be optimum mix. The closed graded permeability was estimated in the range between 380.96 m/day and 406.44 m/day, which falls under Indian specification. Similarly, static-soaked CBR for open-graded gradation was found around 150 and 160% from dynamic CBR. Closed graded dynamic CBR is varied in the range of 180 ± 10% for different closed graded. Therefore, up to 50% of EAF slag mixed with natural aggregate most satisfactory for construction GSB layer. The authors would like to thank M/s Essar steel Ltd, Hazira, Surat, Gujarat, India for supplying EAF slag. 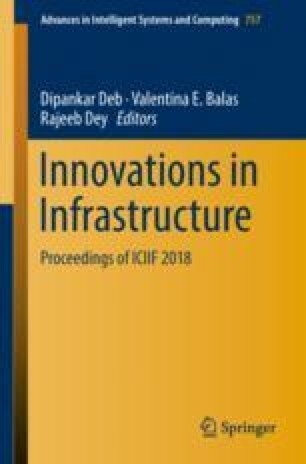 The authors acknowledge Mr. Kalyan Kumar and Mr. Ghanshyam Kela M.Tech. students of Transportation Engineering and Planning Department of S.V. National Institute of Technology, Surat, India for their support and assistance in the laboratory testing work.